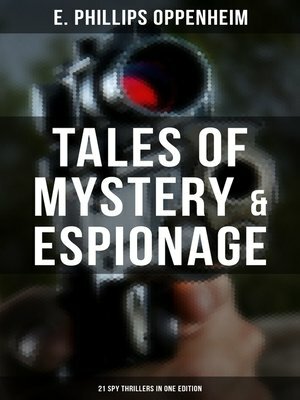 This carefully edited collection of "Tales of Mystery & Espionage: 21 Spy Thrillers in One Edition" has been designed and formatted to the highest digital standards and adjusted for readability on all devices. The Spy Paramount The Great Impersonation Last Train Out The Double Traitor Havoc The Spymaster Ambrose Lavendale, Diplomat The Vanished Messenger The Dumb Gods Speak The Pawns Court The Box With Broken Seals The Great Prince Shan The Devil's Paw The Bird of Paradise The Zeppelin's Passenger The Kingdom of the Blind The Illustrious Prince The Lost Ambassador Mysterious Mr. Sabin The Betrayal The Colossus of Arcadia E. Phillips Oppenheim, the Prince of Storytellers (1866-1946) was an internationally renowned author of mystery and espionage thrillers. His novels and short stories have all the elements of blood-racing adventure and intrigue and are precursors of modern-day spy fictions.